LRO Residential is a boutique Custom Home Building firm specializing in architecturally significant high quality low maintenance homes in the finer neighborhoods of Dallas. We focus our areas of work on the Park Cities, Preston Hollow, Bluffview, and Devonshire neighborhoods. LRO works to keep an inventory of build sites available for our custom home clients and also builds a limited number of for sale spec homes annually. Please contact LRO for current build site and spec home inventory as well as more information on our Complete Source Design Build process. Les Owens, President of LRO Residential Development, is a third generation homebuilder from Mt. Vernon, Texas. The Owens family has been active in the construction industry in Northeast Texas for over 40 years and currently builds on the popular recreational lakes of Lake Cypress Springs and Lake Bob Sandlin. Les graduated from Baylor University in May 2001 with a business degree majoring in Real Estate and Management Information Systems. He and his wife, Kristi, are members of the Park Cities Baptist Church and reside in Dallas. 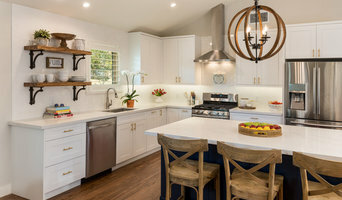 WaterMark is a Dallas, Texas based design+build company that delivers complete competitive market professional design, build, and remodel services. We offer over 22 years of design-build experience from highly talented architects, designers, engineers, builders, and skilled trades. WaterMark consists of qualified teams of certified and licensed professionals that are driven to deliver inspiring quality design solutions, and efficient construction services for a diverse client base. WaterMark produces high quality design+build projects that give shape to each client's vision, that enhance their individual lifestyles, while adding long term value and a high rate of return on the investment for each client. We offer a much more rewarding living experience by creating custom "Right-Sized" / flexible design solutions and floor plan layouts, and integrating current "SMART" technologies and systems that meet the demands of today. WaterMark aims to maximize comfort and energy efficiency through the latest products, and various means and methods of construction. By listening to the needs and desires of each client, we can fully understand their vision and objectives. We educate each client about the entire design+build process from start to finish, and employ a holistic approach to each commission, by outlining pertinent information, establishing open lines of communication and close collaboration. This involves all family members throughout the process, from design through the completion of construction, which allows us to clearly delineate the objectives and obstacles of the design+build process. Currently, our expanding service areas include Dallas, University Park, Highland Park, Lake Highlands, North Dallas, Frisco, Carrollton, Addison, Rockwall, Heath, Royse City, and many other communities surrounding the Dallas metroplex. We look forward hearing from you to discuss your project in greater detail, and allow the skilled team at WaterMark to successfully deliver a rewarding design-build experience for you and your family to enjoy. Please visit our website at www.WaterMarkDBR.com or Facebook page at www.facebook.com/WaterMarkDesignBuildRemodel for additional information. What I do differently than most is that I draw in 3D. What 3D allows more than anything is that it all but eliminates the bottleneck of the construction process. By drawing in 3D it ensures ACCURACY, not just that the walls will line up, but in wall thickness and even material thickness. Using a different wall system and want to make sure that the concrete is accurate? Revit (3D blueprint program) solves that problem. Do you build with SIS instead of zip board or plywood and Tyvek? No problem, Revit adjusts instantly in the entire project so your concrete is adjusted accordingly. Stucco instead of brick or stone, it’s a simple setting and concrete is updated. Because 3D is INTUITIVE it draws elevations as floor plans are drawn. Simply select the ceiling height and Revit adjusts from there. Tired of the inaccuracies? When you replace or change a window, door or even a toilet everything is instantly updated. This includes the elevations, floor plans, and even the schedule is updated instantly with 1-click. Contradictory is a thing of the past. Want accurate BUILDING TAKEOFFS in a matter of minutes instead of hours of math? 1-click and Revit tells you exact square footage counts of bricks, stone, stucco or roof. It even subtracts the areas for windows, doors, and dormers from the count. Tired of over ordering material just for it to sit on the job site and get stolen later, or worse, damaged beyond use on another project? No more. The BEST PART this is not something new that costs twice as much as you are already spending on plans. Revit has been around for over 15 years, but because of the time that it saves in drawing it cost the same or sometimes less than you are already spending on plans. In conclusion, if you are tired of mistakes & inaccuracies and want a product that you can WOW YOUR CLIENTS then stop doing things old school and start doing things in 3D. 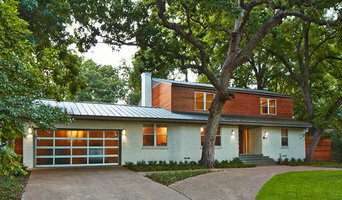 Innovative Designs for Modern Lifestyles Founded in 2007 by German native Marc Kleinmann, Bauhaus Custom Homes focuses on designing and building timeless architectural styles, from Mid-Century Modern to Classic European, in Dallas, TX and surrounding areas. Following the German Bauhaus principles of unifying art, craft and technology, Bauhaus is known for their European design sensibility and construction of luxurious, energy efficient and low-maintenance homes. The use of innovative design technology and cutting edge processes and products allows us to deliver stunning designs, built in 6 months. As the exclusive Dallas, TX custom home builder following the German Bauhaus principles, we understand each of our clients has different living requirements. To help get you started, we have created a unique design library with home plans specifically designed to address different needs. Whether you are looking to downsize and simplify or you are a young family with the need to upsize, the Bauhaus principles will help you define and create a home that’s just right for you. Firms that can carry out both design and construction in Dallas, TX take on the combined responsibilities of an architect, draftsman, construction company and additional contractors, providing one point of contact for homeowners. Having one entity responsible for the entire design and build, from estimation to subcontracting and even post-construction, streamlines and often speeds up the project significantly. Having a unified project team can also help you avoid unforeseen costs and delays in construction. In addition, the homeowner only has to interpret one contract with the design and construction firm, and not with various architectural design and contracting professionals. However, depending on the firm, you may still want to contact an interior designer or architect to help create the exact look you want. Here are some related professionals and vendors to complement the work of design & construction firms: Interior Designers & Decorators, Landscape Architects & Landscape Designers, Architects, Photographers. Project management demands time, skills and an eye for both detail and efficiency. While many homeowners choose to manage their own projects, they can often regret their decision once the build or home improvement project is complete. Homeowners should carefully consider the time they have available to allocate to locating, hiring and eventually paying every contractor who enters the site. From certifiers to roofers, and even your draftsman, a firm that can undertake design and construction in Dallas, TX benefits from having all of these home professionals under one roof. 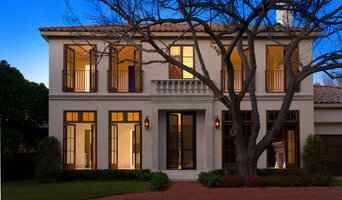 Find a Dallas, TX design-build firm on Houzz. Scroll through this page to find design-build firms in your area. You can browse recent projects, read reviews and message the firm directly. Another way to find a firm that can carry out design and construction in Dallas, TX is to browse Photos on Houzz. If there’s a photo you like, find out who designed and constructed it and strike up a conversation with the professional responsible.